Is this how The Fairytale goes? 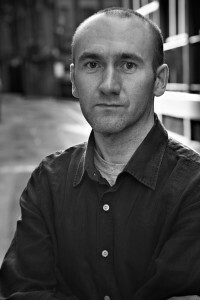 This week I had the privilege and the pleasure of interviewing Stephen Kelman for The View From Here. I loved Pigeon English, Stephen’s debut novel. It’s the story of Harrison, a Ghanan immigrant, as he acclimatises to life in his new home on a London housing estate. It opens with the knifing to death of a local schoolboy, possibly the victim of local gang culture although the police are unable to prove anything. The novel is unusual, bold and challenging and for me, it’s the ending that really makes it. The final sentence still sticks with me. Stephen Kelman proposes a simple truth of humanity that fits perfectly into the story’s end…and you will just have to read the book to see if you agree! 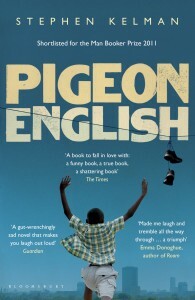 If you hadn’t heard, Pigeon English was shortlisted for more than a handful of literary awards in 2011, including the Man Booker. I’ve read various interviews with Stephen, talking about his ‘humble’ origins, and the ‘fairytale’ of the 12-publisher bidding war for his debut novel. But there’s always more to these fairytale stories, you know. The endings may be all ‘happily ever after’ but for the most part, children are abandoned, eaten by wolves and stolen by witches. Spells are put upon innocents and the path through the forest is dark and set about with danger. £1000 to spend at Writers Mart today! Kerching! 1. Make your Writing Better! Is your work even ready to be presented to agents and publishers? – Get a professional critique of your work. For a full length novel expect to spend between £500 and the whole £1000. Here’s a good article on critiques. You could spend less than that of course, but is a critique of the first three chapters going to help you if something is broken in your plotting or character arc, for example? – Go on creative writing courses, such as Arvon Courses. Most people have heard of these. A week working on your novel will cost you around £625 plus travel. For me That’s £750, for you maybe £650. – Try a Writing Festival. Get workshops on writing and sessions with agents and publishers. Expect to spend about £350 -500 for a weekend, including your accommodation, meals, talks etc. – Writing Mentors – pay for the services of a published and experienced author to coach you and help edit your work. You could easily spend the whole £1000 here, buying around 4 hours of mentoring from top authors through to quite a lot more time with cheaper outfits. – Take out a subscription to a writing magazine, such as Writers’ Forum or Writing Magazine, for a steady flow of hints and tips. Or else literary journals such as Mslexia, Granta etc. £30 a pop. – Read more contemporary books. Learn from other successful writers in your genre. Buy a big pile of books to read. £100 for enough to keep you going. – Try something like the Faber & Faber Academy. A three day course on bringing your book to market – like this one with Ben Johncock and Catherine Ryan Howard costs £425 plus travel and accommodation. – Practice writing. This costs nothing. But if you’re struggling for time, treat yourself to a weekend writing retreat for £250/£400 plus travel like the one I did in September. Or a week long retreat somewhere like Anam Cara, with or without workshops. – Get your book copy edited before you submit. Expect to pay in the region of £750. – Get writing advice free online. If you don’t know where to look, network with writers and publishing professionals on Twitter. Also free. 2. Is your book astonishingly good? Make your Submissions Better! – Use fancy stationery and include chocolates personalised with the literary agent’s initials and date of birth. £250. 3. Is your book excellent and your submissions splendid? Raise your profile as a credible writer, boost your CV. – Raise your profile by winning competitions or submitting to radio programmes like BBC Radio 4 . Competition entry fees in the £5-£15 range. Consider The Bristol Short Story Prize, Fish, Sean O’Faolain, Bridport, Willesden Herald, Manchester…there are so many! And if you win, they actually give YOU money! – Also see costs of editing, above. 5. Your book is with a publisher, or self-published. Get those sales up! Marketing! – Get a blog up and running. £75 for your domain name and hosting, then it’s just your time. – Get people who have read it to review it on Amazon. Very valuable. Costs nothing. – I also heard recently of an offer where you could have your work featured somewhere on a writing competition’s website, with claims that it will provide ‘visibility’ to agents and publishers (though no footfall data, or qualitative data about the site readership was available at the time of writing). Cost £995 for a year. The above are all just ways in which you could spend your money. I’m not endorsing them, just showing you the opportunities to spend your cash! Also all prices are approximate. I’d be interested in which ones you would endorse though, and any feedback on costs. Please tell us in the comments. I would also like to apologise for the profusion of exclamation marks. It’s not really my style, it’s more a nod to the “Get Published Now!” sales pitches we see so often, offering to take our £1000 in return for a few months of deliciously raised hopes and then an opportunity to spend the same amount again, and more, on what is essentially vanity publishing. Look at some of the cheaper – and free – options above and weigh up the relative benefits before spending lots of money, I suggest.